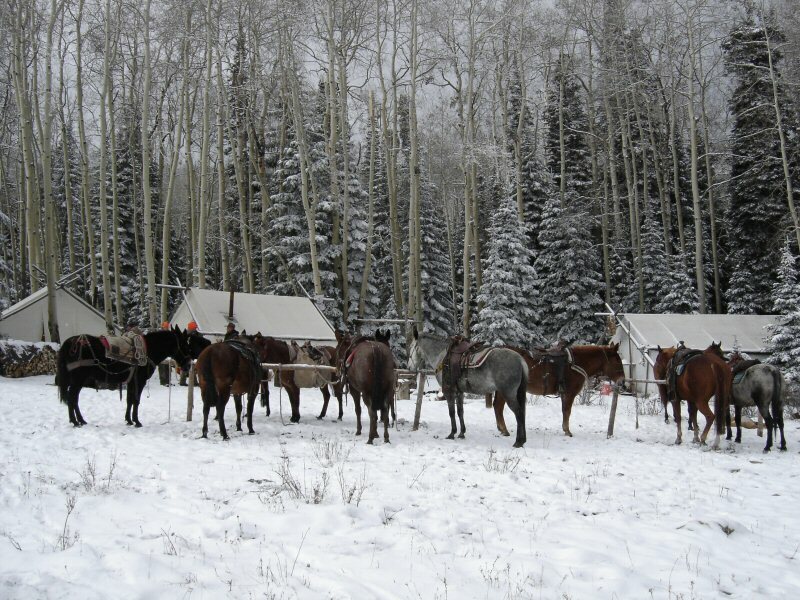 This camp offers you the old-fashioned pack in style adventure. 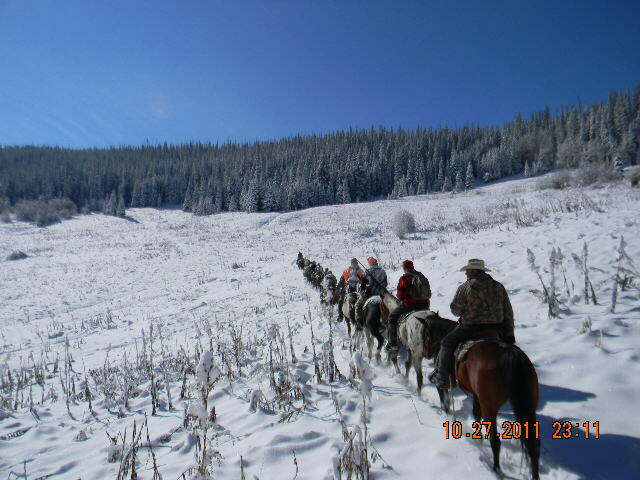 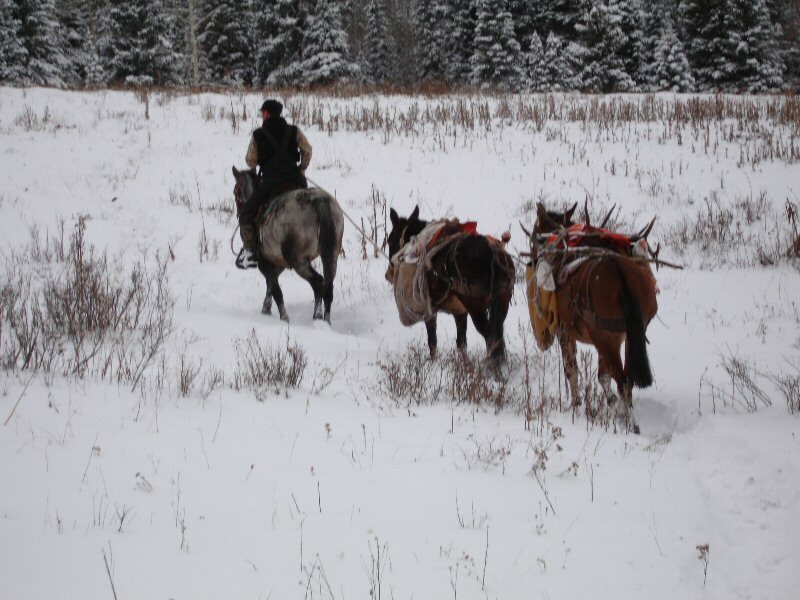 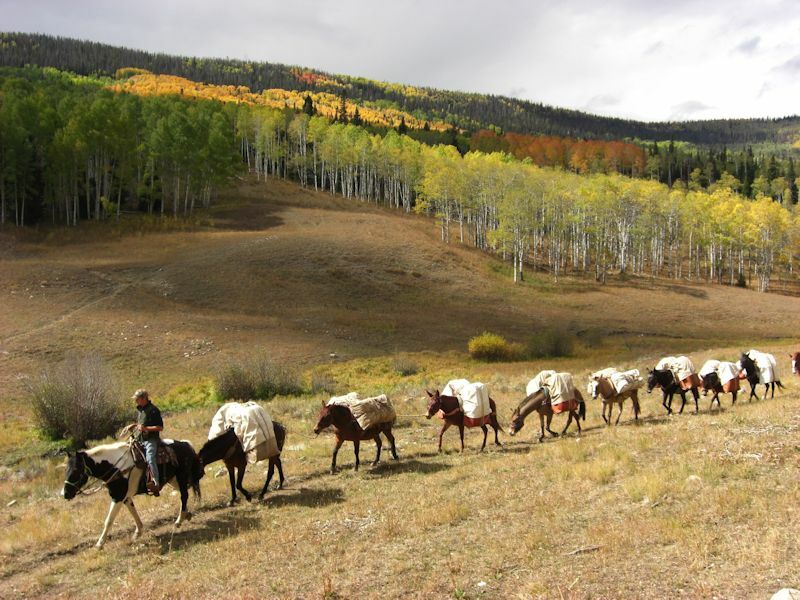 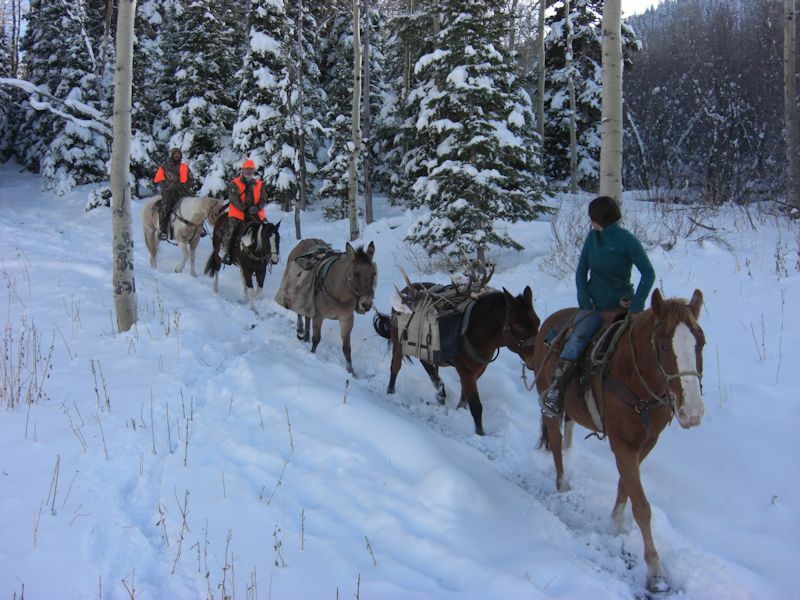 It is located in the back country of Colorado's unit #15, and can be reached only on horseback or on foot. 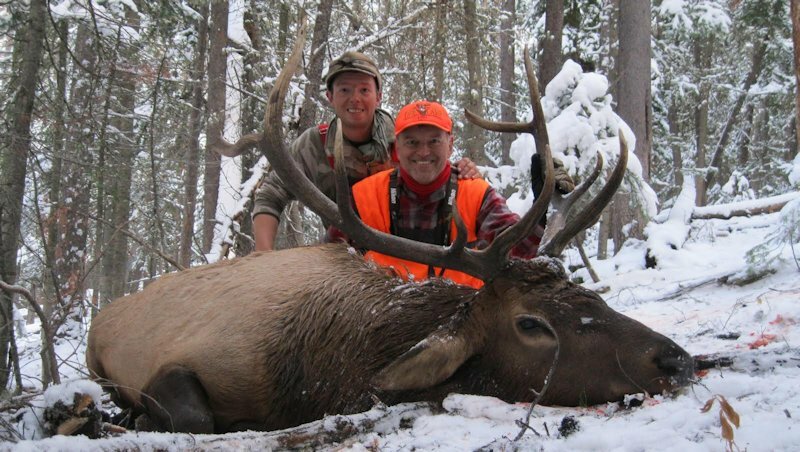 Our permit covers 52,000 acres of forest, so limited hunting area is not a problem. 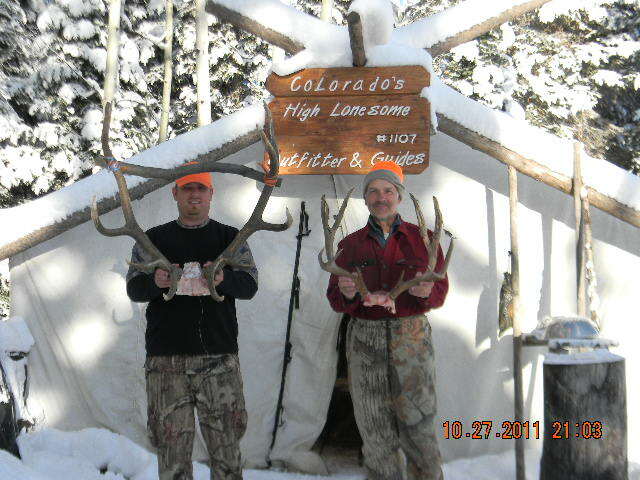 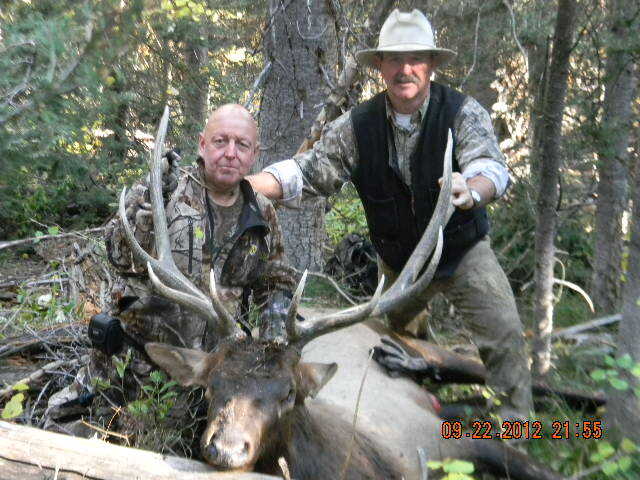 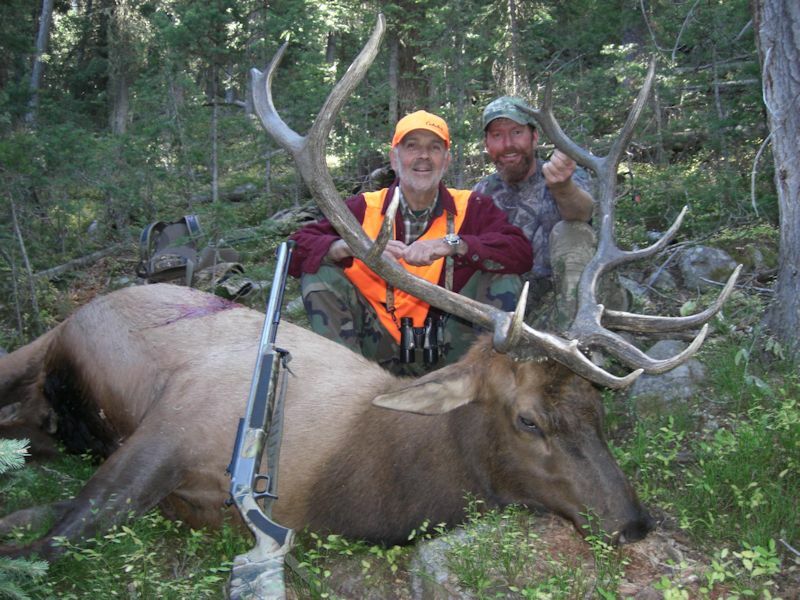 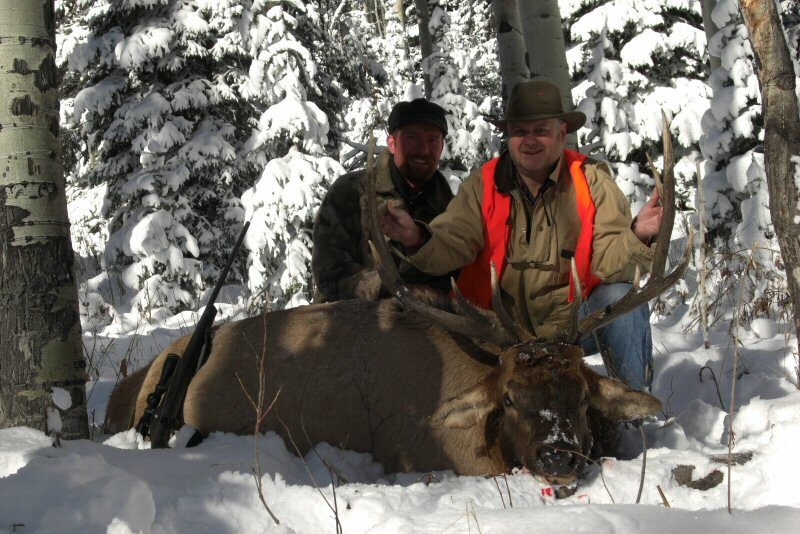 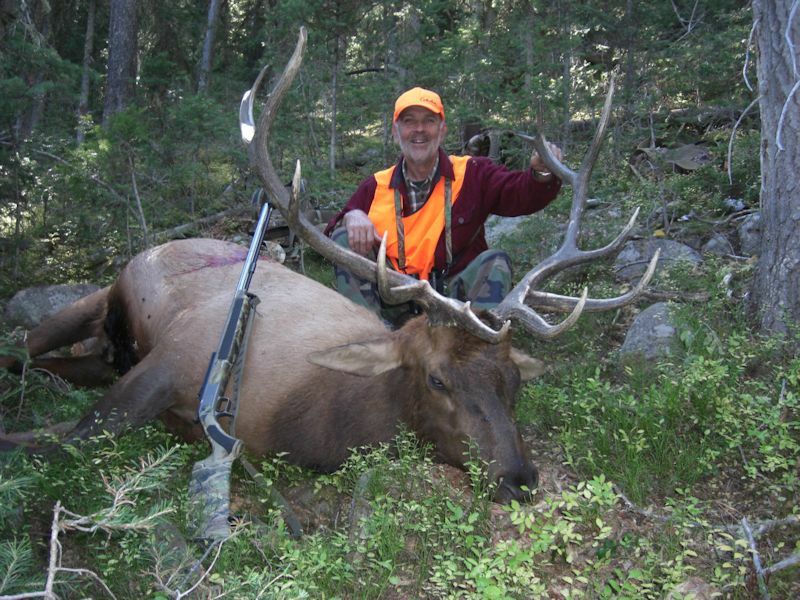 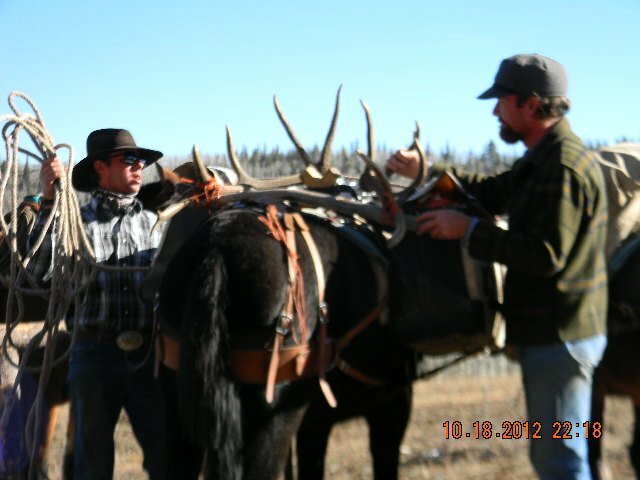 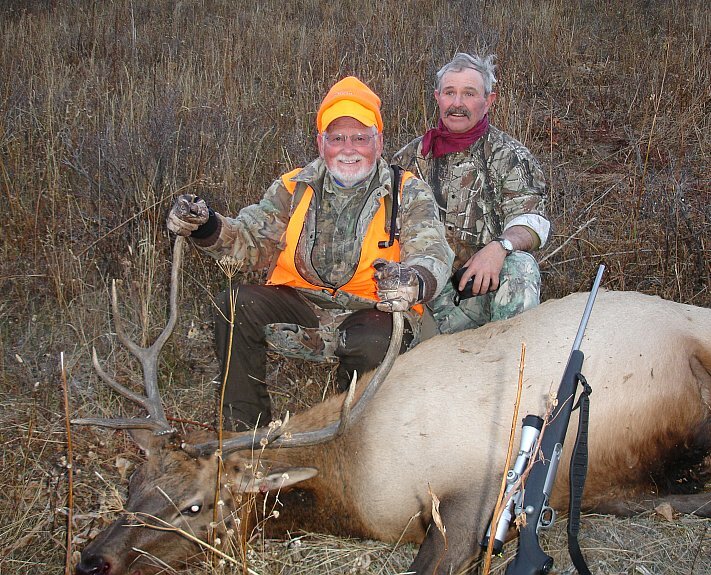 To assure you a quality hunt and every chance at a shot, we only book six clients per camp and guide on a 2-1 basis. 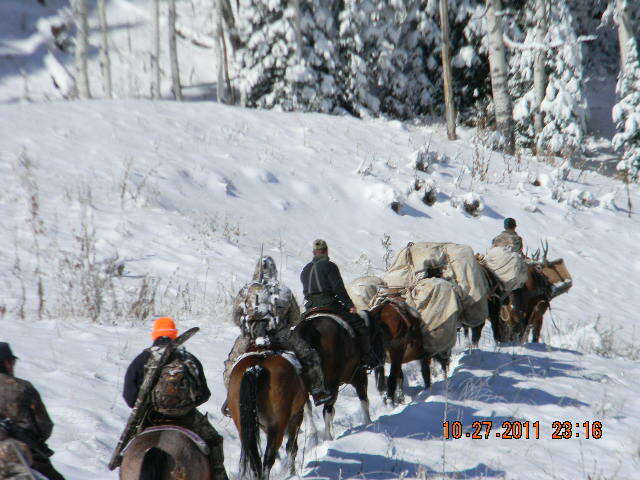 We will pack you into camp the day before your hunt begins. 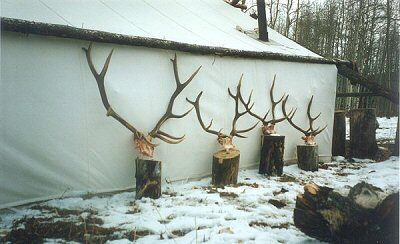 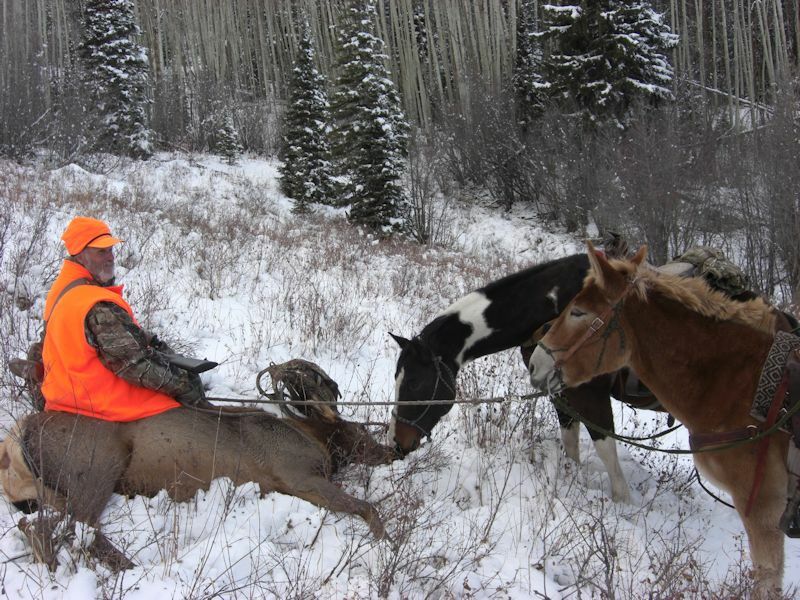 You will hunt for 5 full days, packing out the day after your hunt ends. 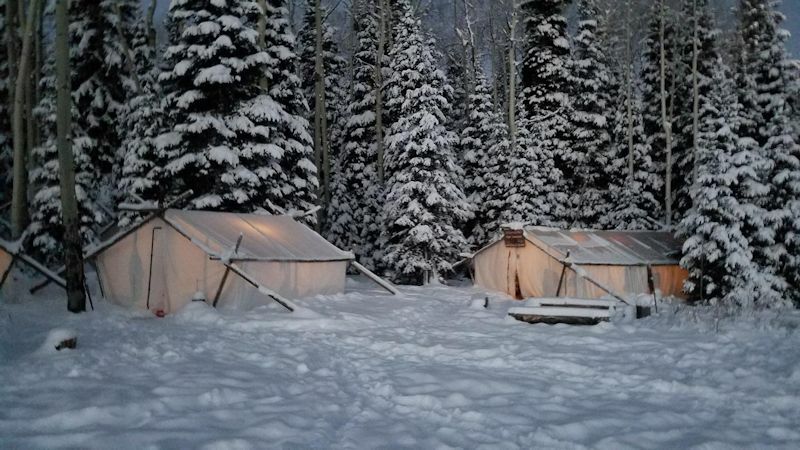 We will provide you with nice warm wall tents, each equipped with a wood burning stove, great western style meals (beef steaks, pasta, turkey dinner, pork, chicken, homemade bread, etc....), dedicated guides and all the fun and laughter you can stand. 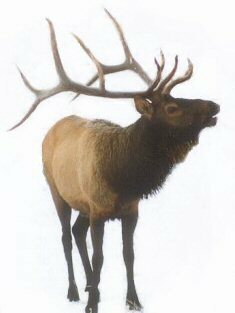 Following a hearty breakfast you will begin hunting bright and early in the morning. 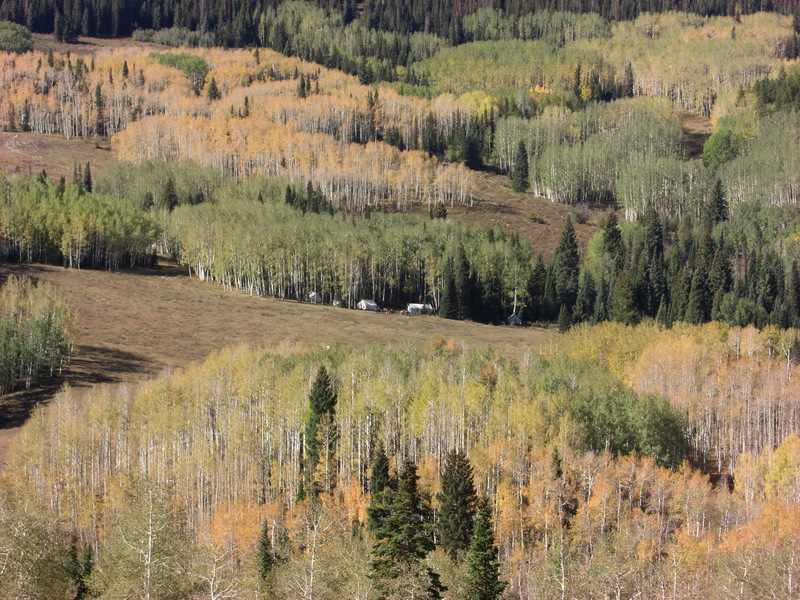 We usually hunt the entire day, but depending on the day's conditions, we occasionally go back to camp and rest, returning to hunting in the late afternoon. 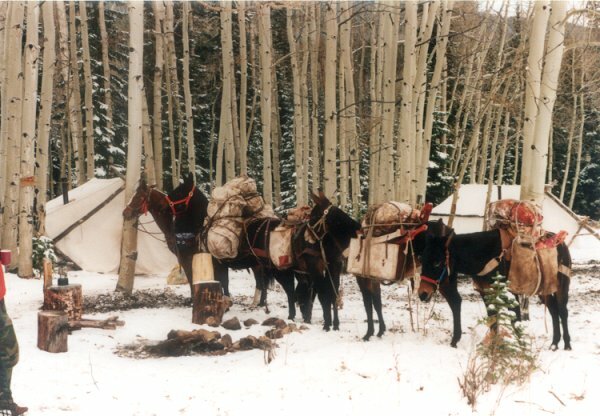 After arriving back in camp for the evening, you will enjoy a great meal, good conversation, and probably a few good laughs before retiring for the evening. 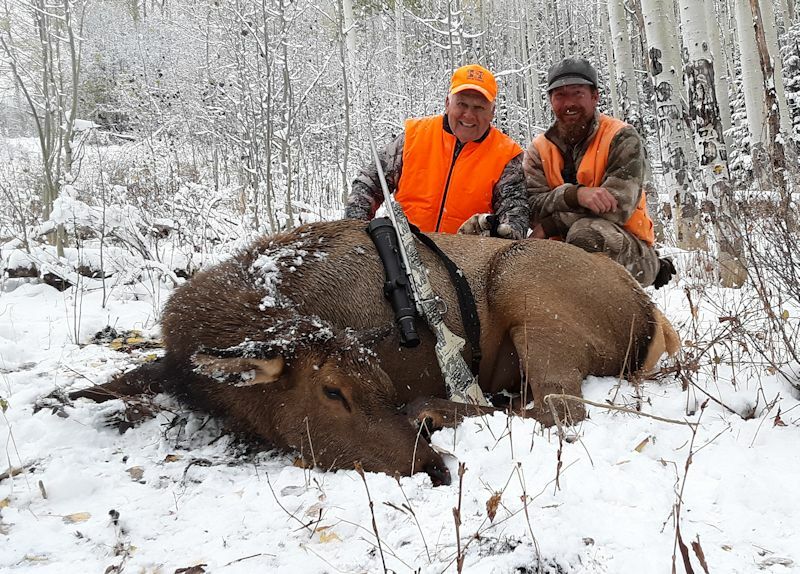 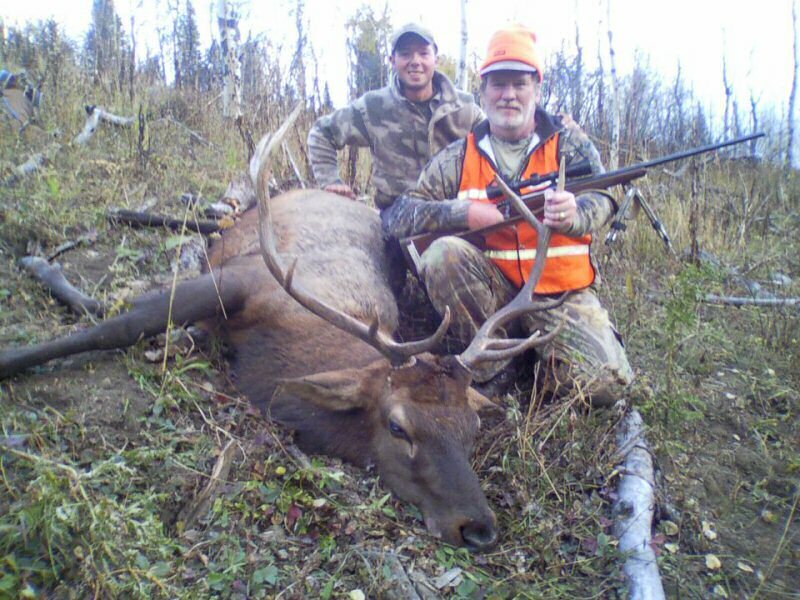 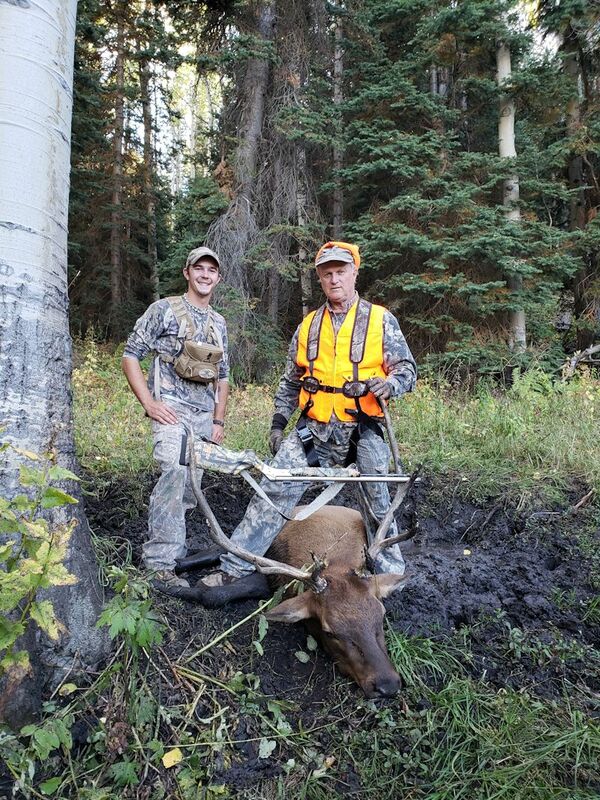 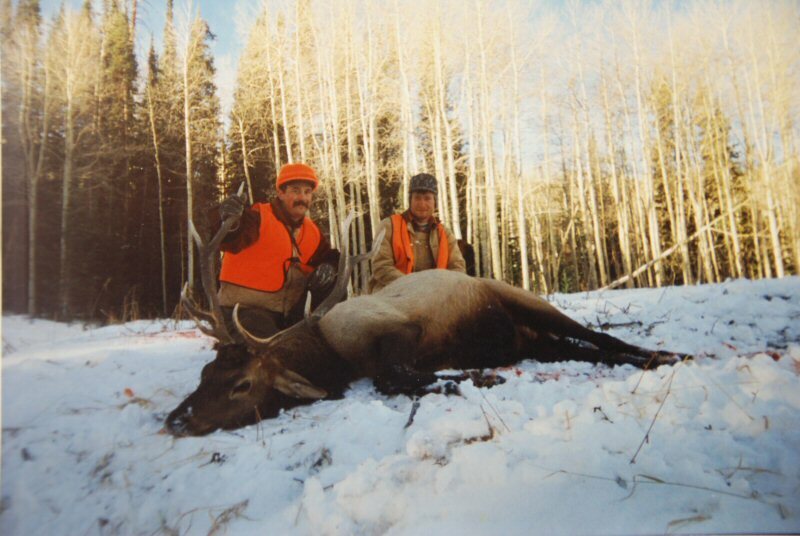 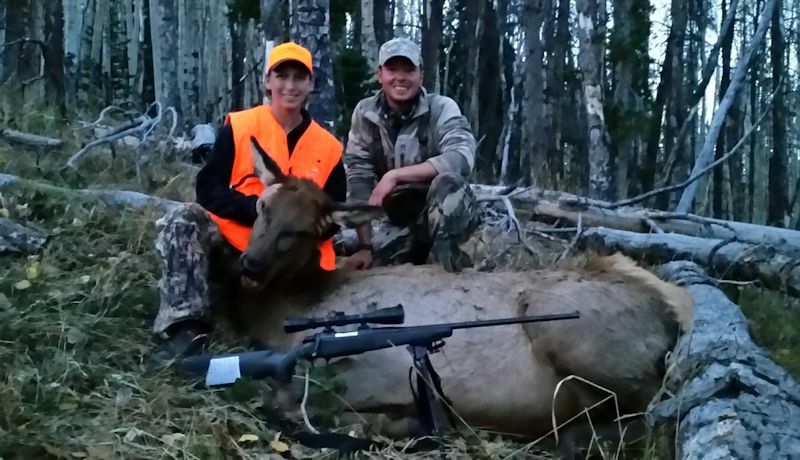 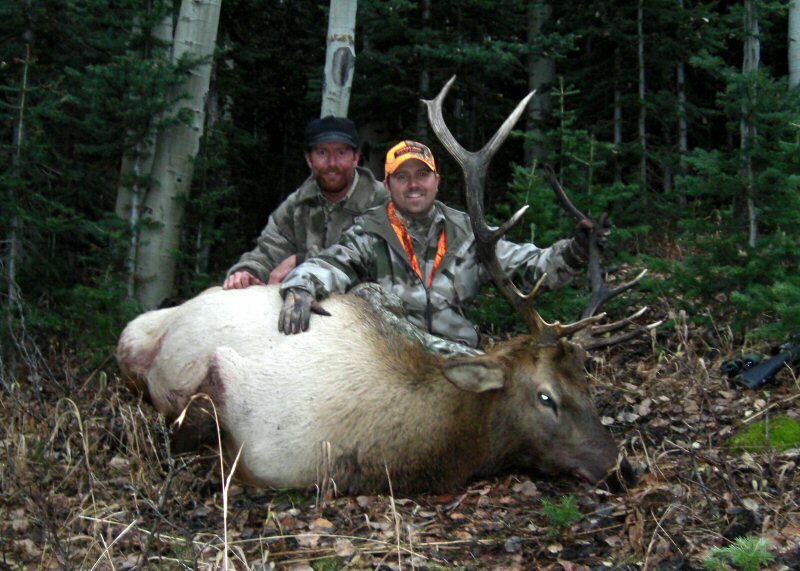 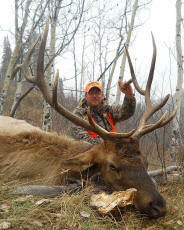 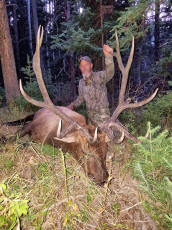 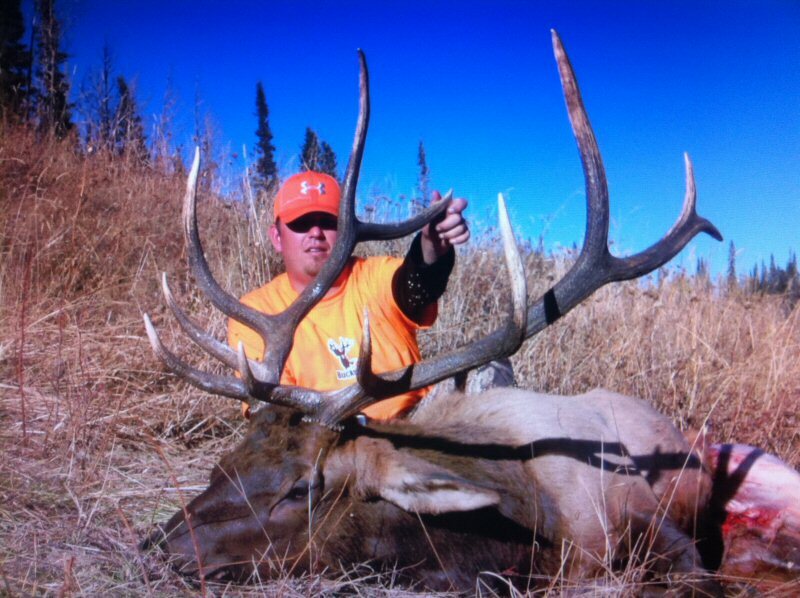 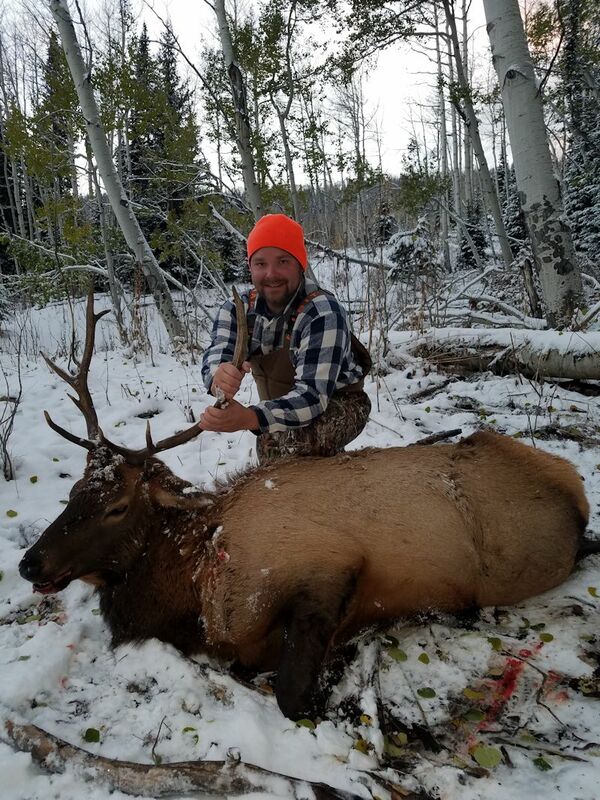 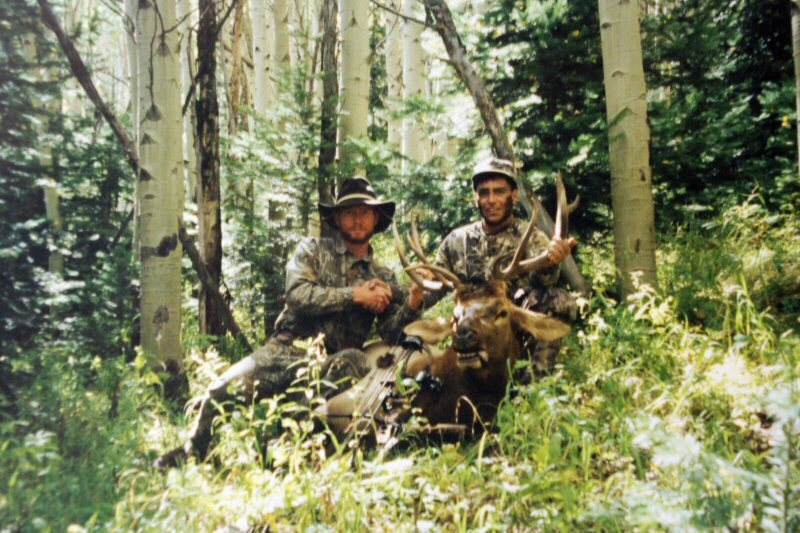 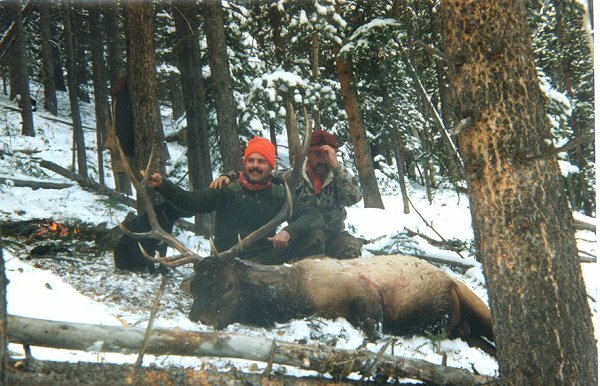 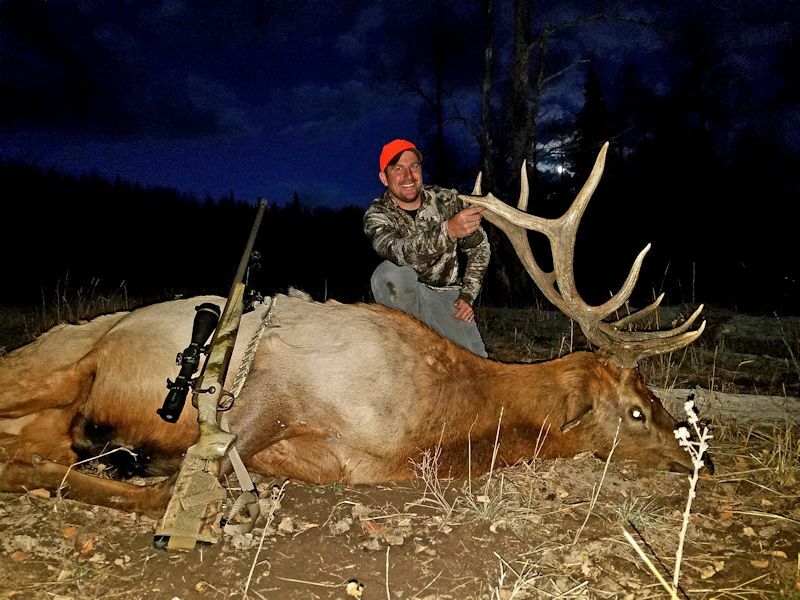 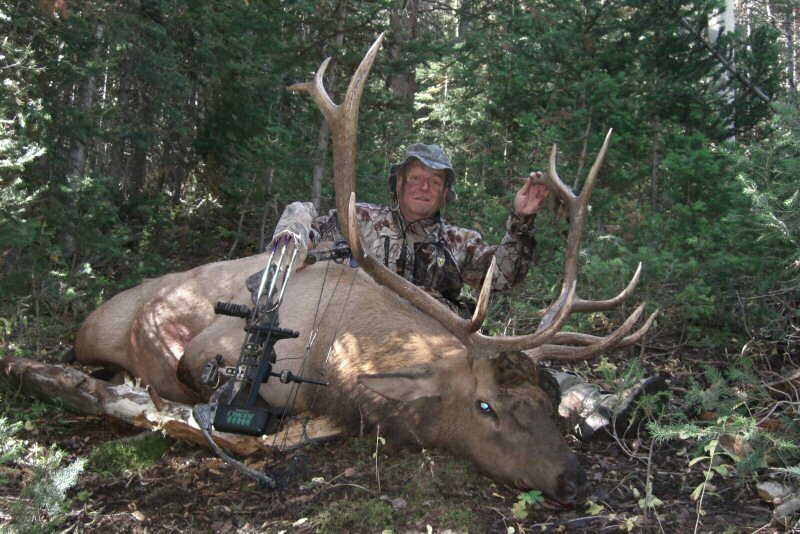 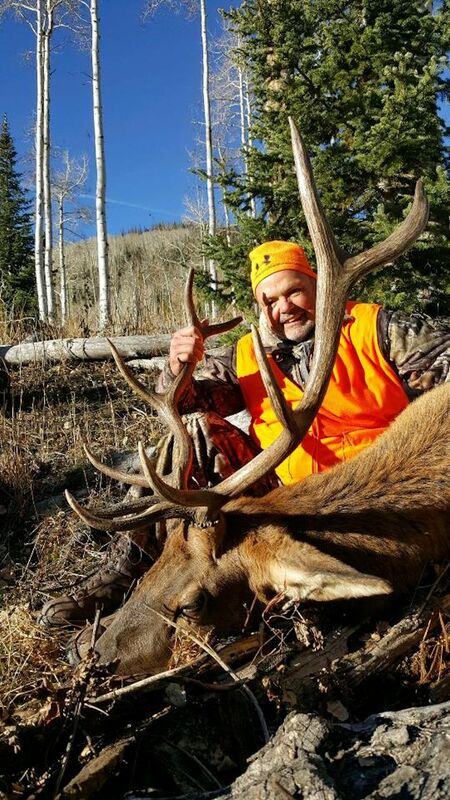 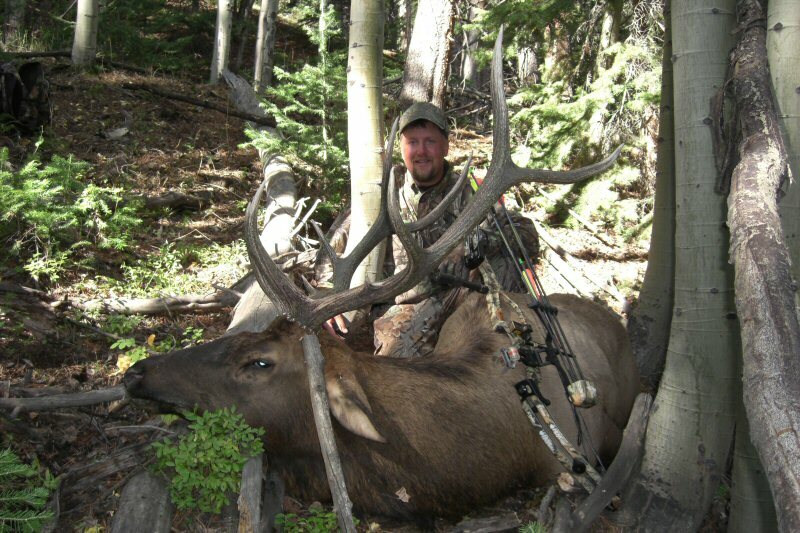 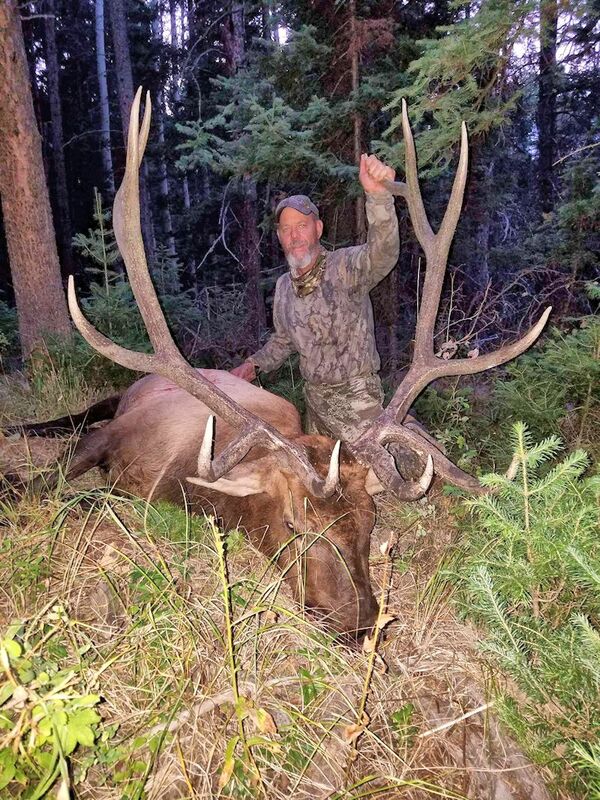 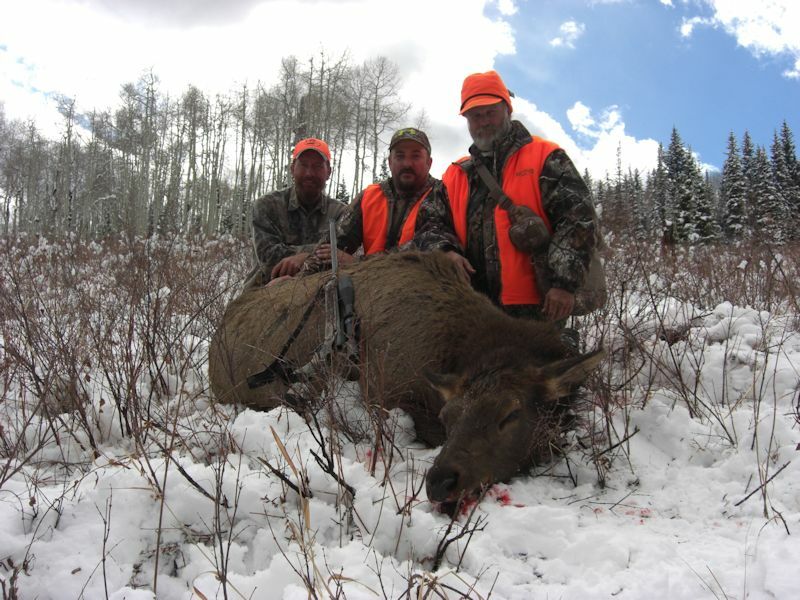 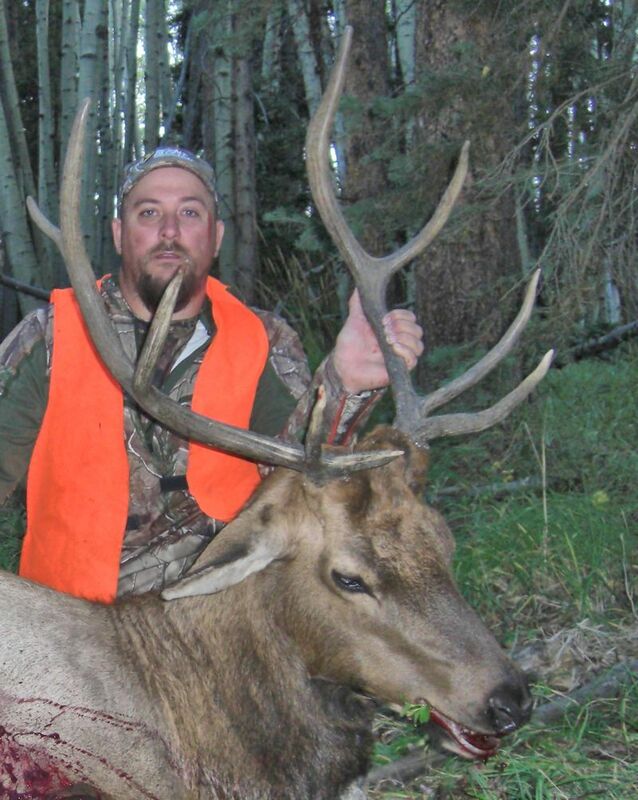 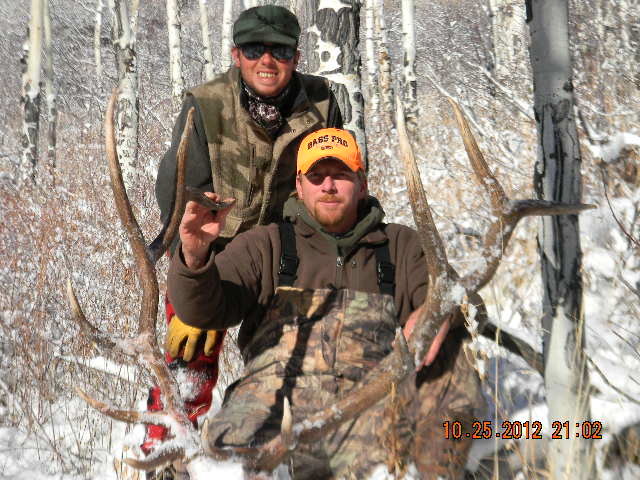 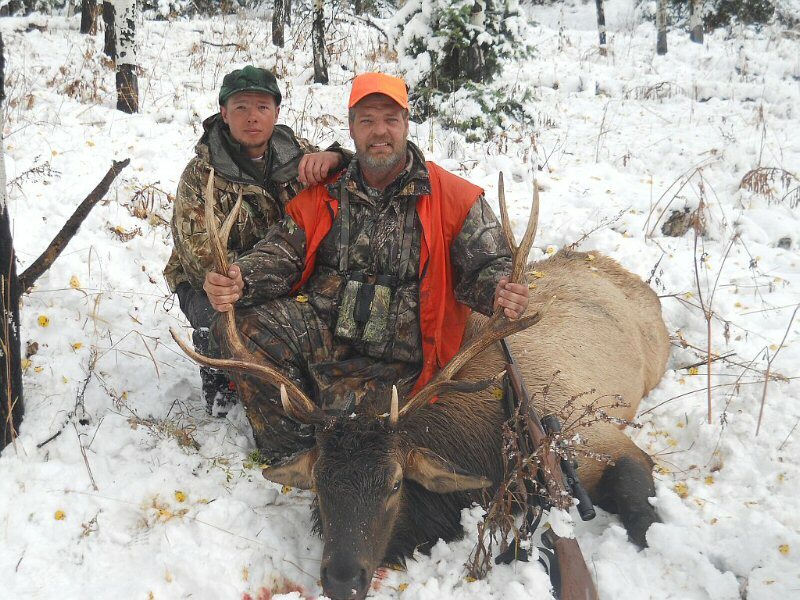 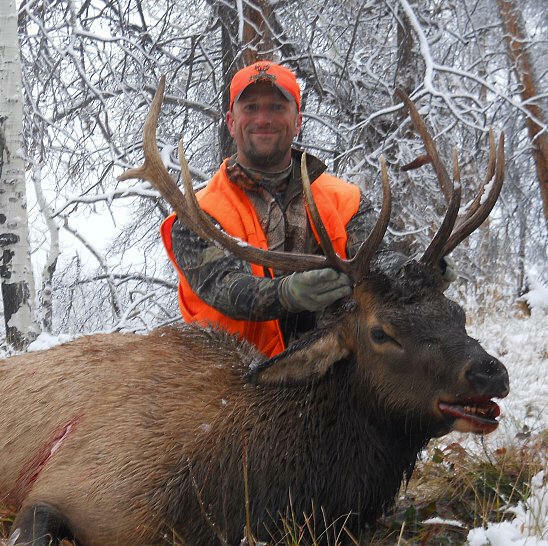 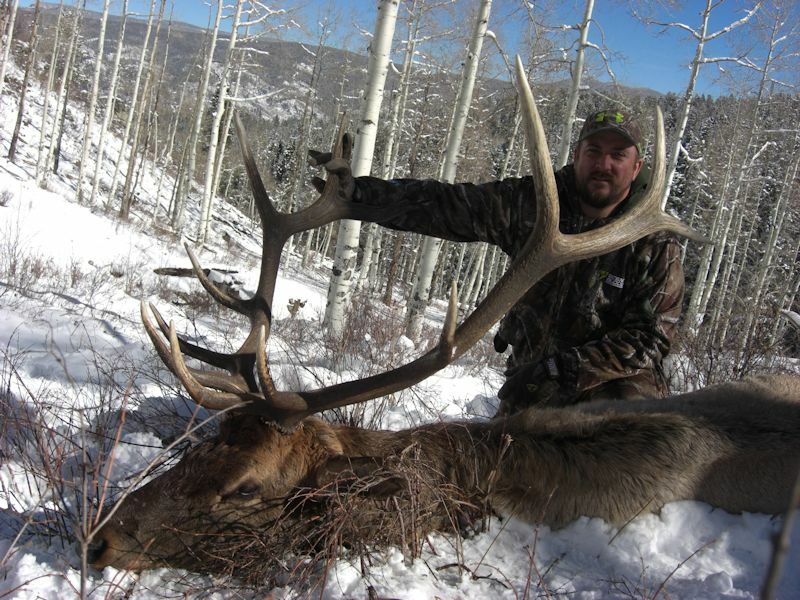 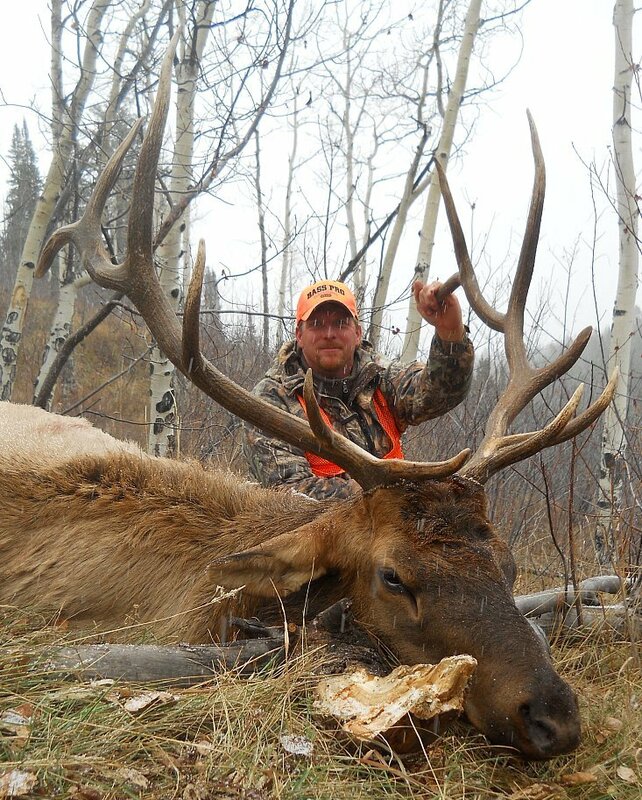 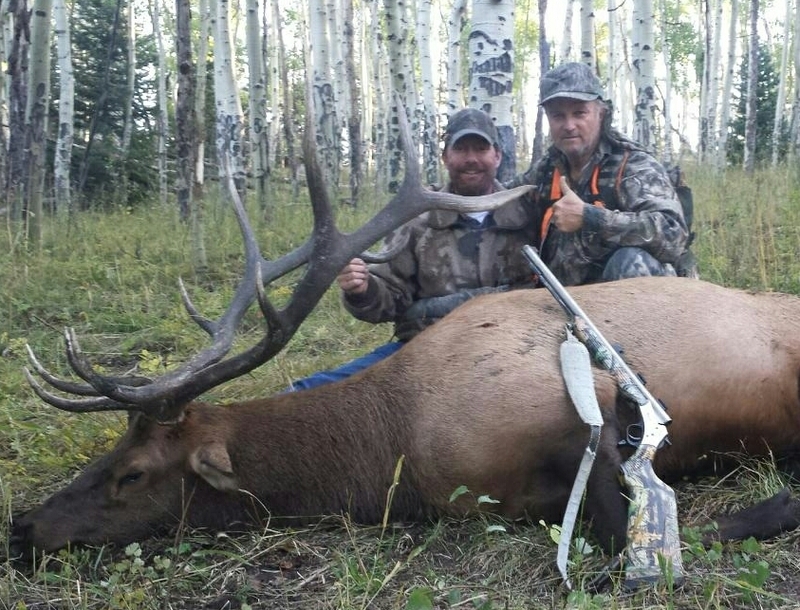 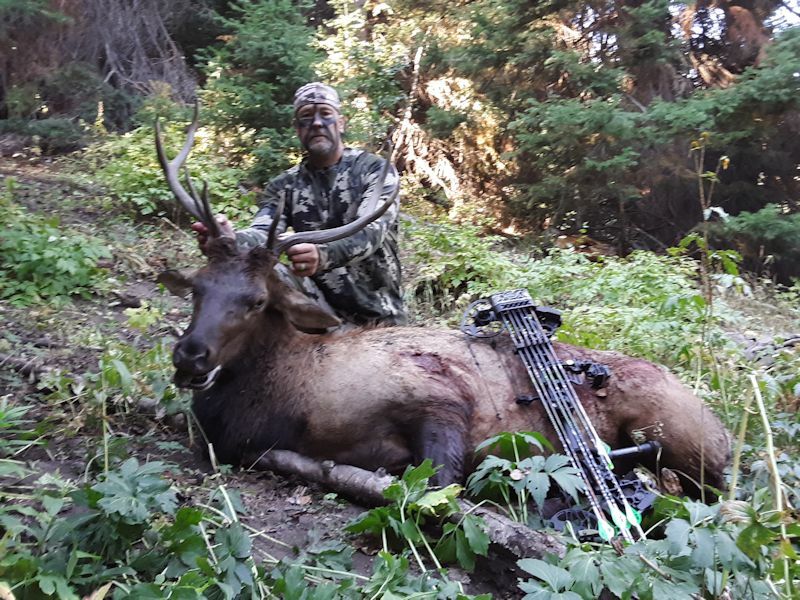 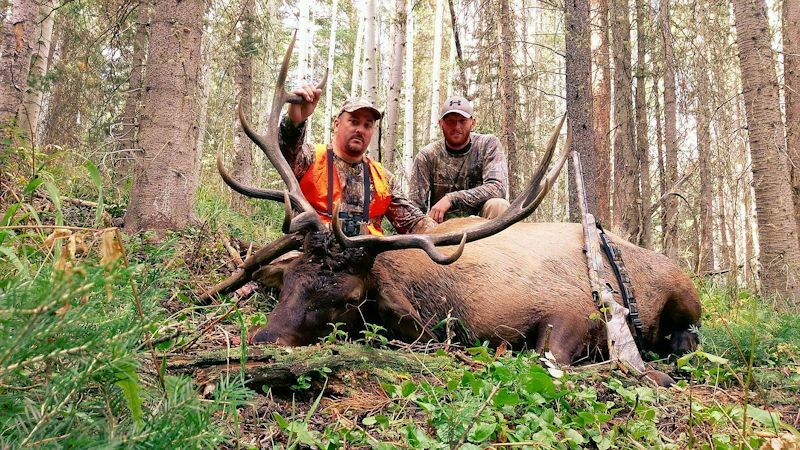 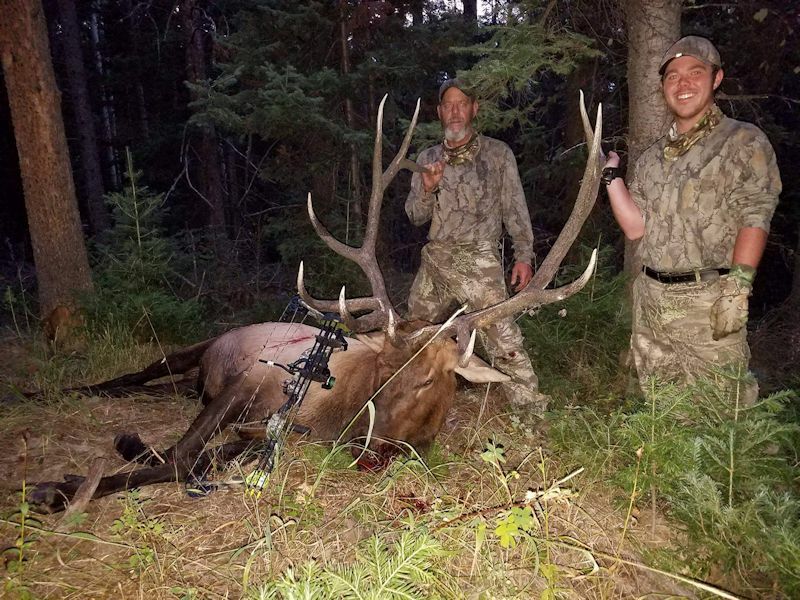 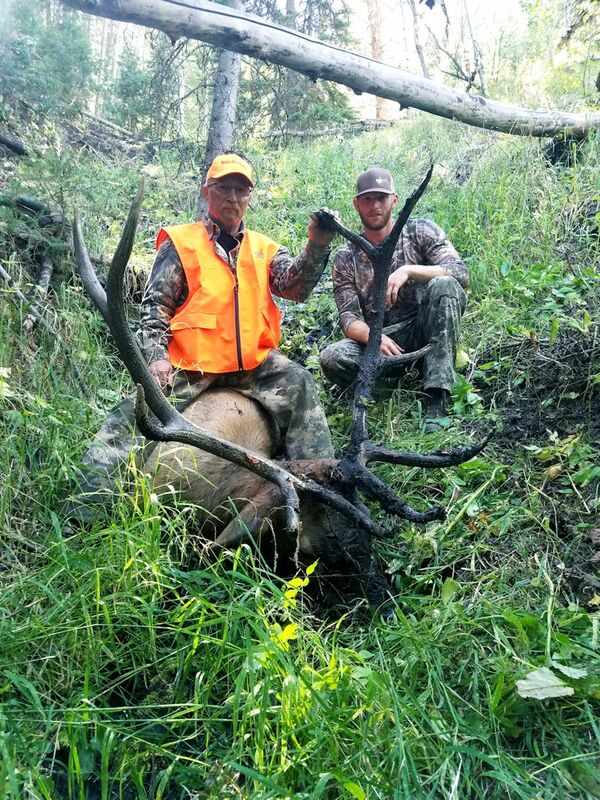 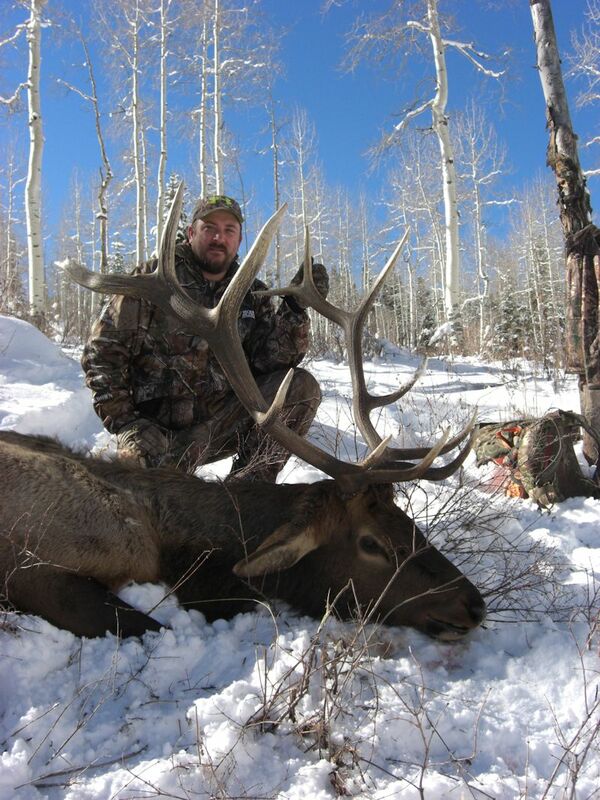 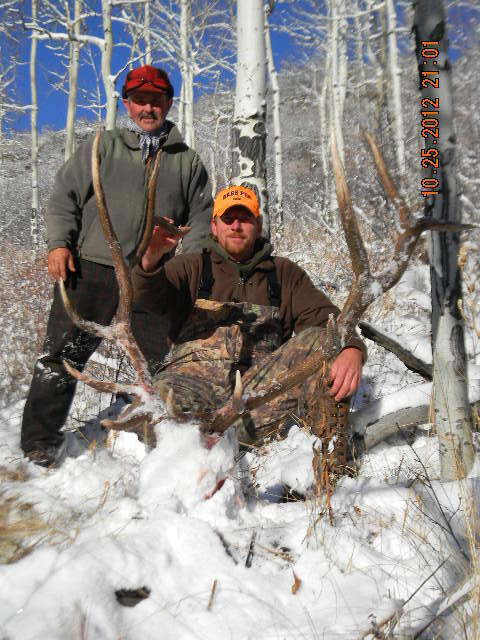 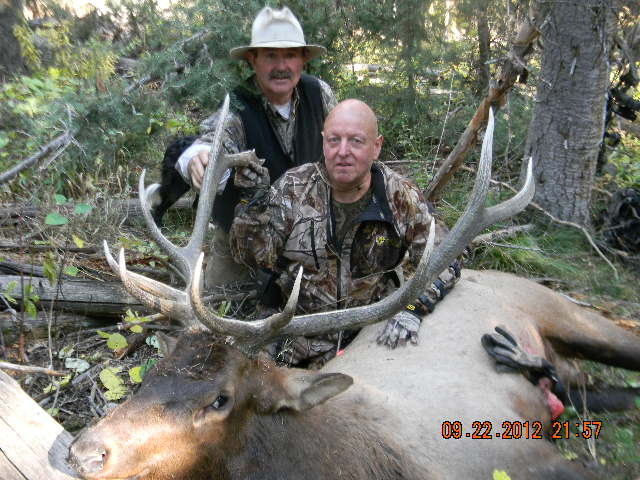 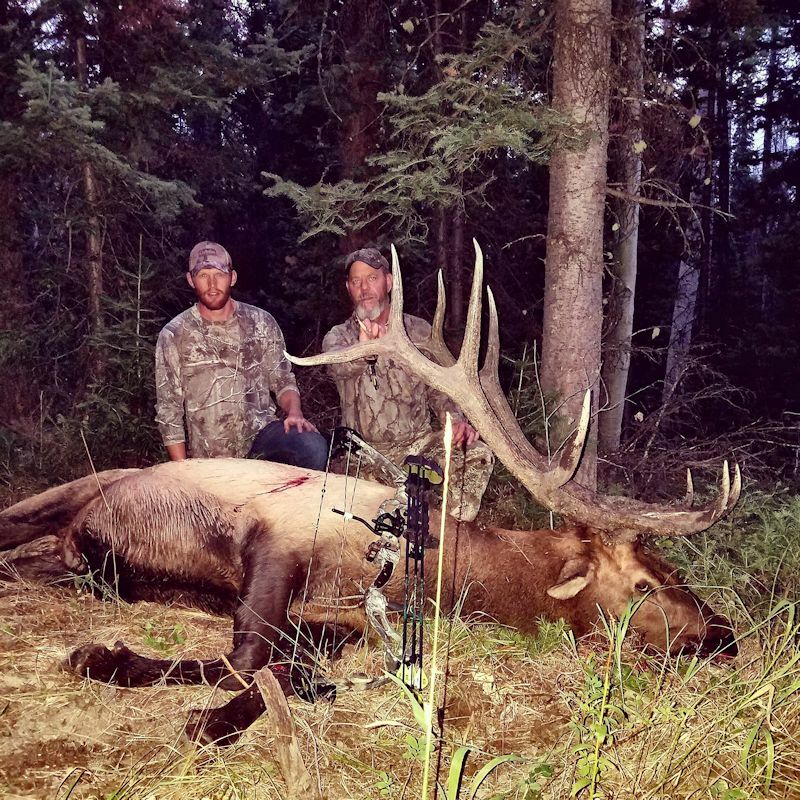 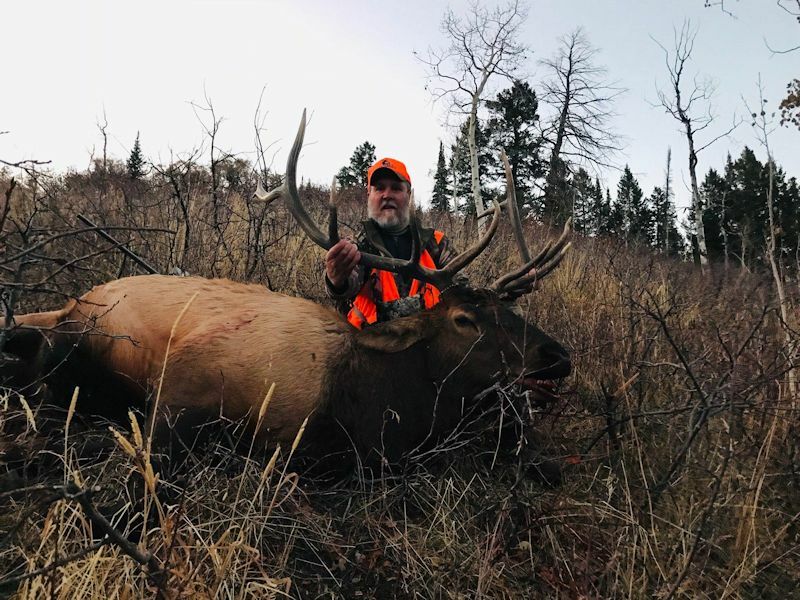 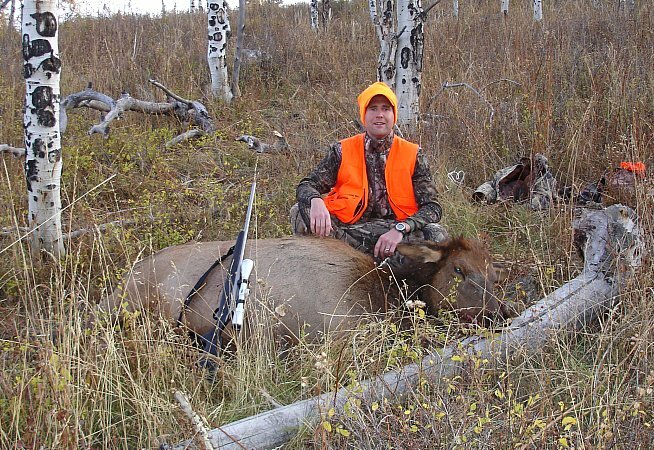 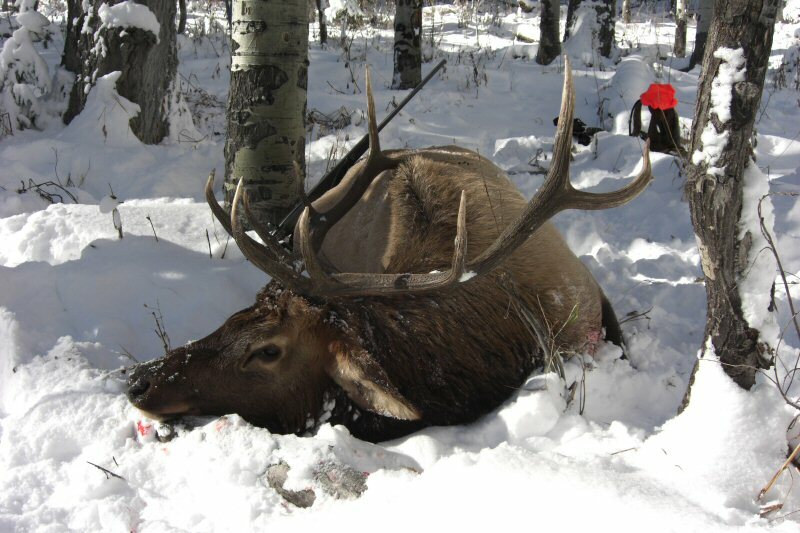 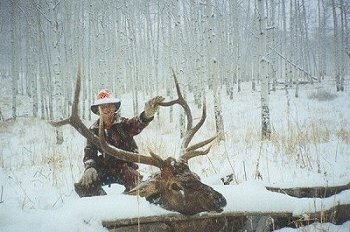 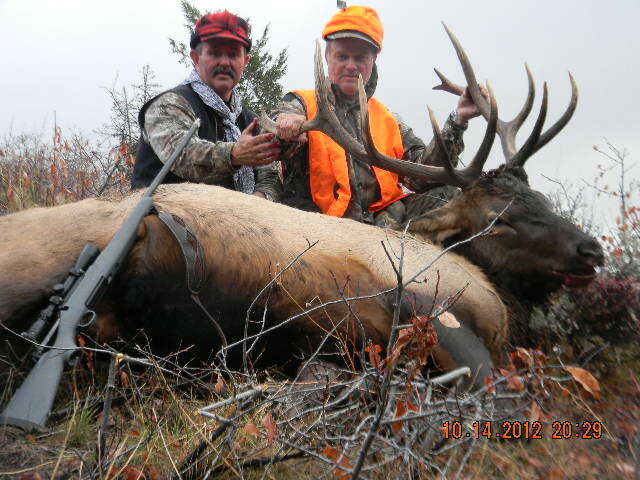 Your guide will be dedicated to doing everything he can to make your hunt memorable. 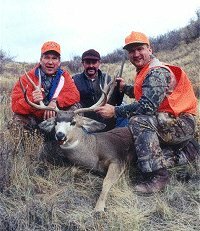 If you are looking for a real hunt with memories that will last a lifetime, join us for this hunt.